« Casa Guadalajara Voted #1! Thank you!! Mas Tequila at Casa Guadalajara! When it comes to Happy Hour, tequila, margarita’s and fun, the San Diego Mexican Restaurant known to have it all is Casa Guadalajara in Old Town San Diego. 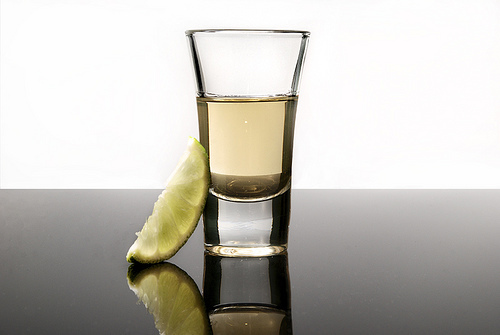 Serving over 50 different types of tequila, the bartenders at Casa Guadalajara can help you choose the particular tequila that best suits your particular taste buds. According to http://www.tequila.net there are nearly 1000 different brands of tequila to choose from, and our staff has narrowed it down to what we believe are 50 of the finest available. While we’re not quite able to give you a detailed history and details on all the choices available, we can break it down to some basic elements to help you decide where to start the next time you visit us for dinner or Happy Hour, which runs from 4-7 pm daily in our cantina. Just like going into a Starbucks and ordering coffee can be a bit intimidating with all of the choices and terminology most of us don’t understand, it can be the same when ordering Tequila. In our next blog post we’ll dive deeper into the five different types of tequila and you’ll then be able to narrow it down to a couple you can sample next time you visit us. Casa Guadalajara is located at 4105 Taylor St. in Old Town, San Diego. Visit us for Happy Hour from 4-7 pm daily, then stay for a fabulous Mexican dinner in one of the most authentic and colorful restaurants you’ll ever visit. We look forward to seeing you soon. Mas tequila! This entry was posted by The Guadalajaran on September 13, 2011 at 2:15 pm, and is filed under Blog Entries, Tequila. Follow any responses to this post through RSS 2.0. You can leave a response or trackback from your own site.